What is a Staggered Board of Directors? A staggered board of directors, also known as a classified board, refers to a board that consists of different classes of directors. 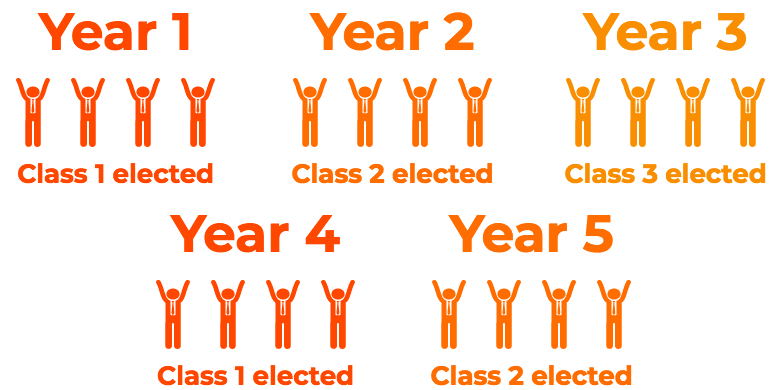 In a staggered board of directors, only one class is open to elections each term. It is different from a normal board of directors, where all directors are elected at once. The board of directors (BoD) is a group of individuals who represent shareholdersEquity AccountsEquity accounts consist of common stock, preferred stock, share capital, treasury stock, contributed surplus, additional paid-in capital, retained earnings other comprehensive earnings, and treasury stock. Equity is the amount funded by the owners or shareholders of a company for the initial start-up. The board of directors hold the ultimate decision-making authorityCorporate StrategyCorporate Strategy focuses on how to manage resources, risk and return across a firm, as opposed to looking at competitive advantages in business strategy and oversees the activities of the company. The BoD is not to be confused with the top officers of the company, who focus on the day-to-day running of the company. A board’s powers are determined by government regulations and the company’s constitution and bylaws. 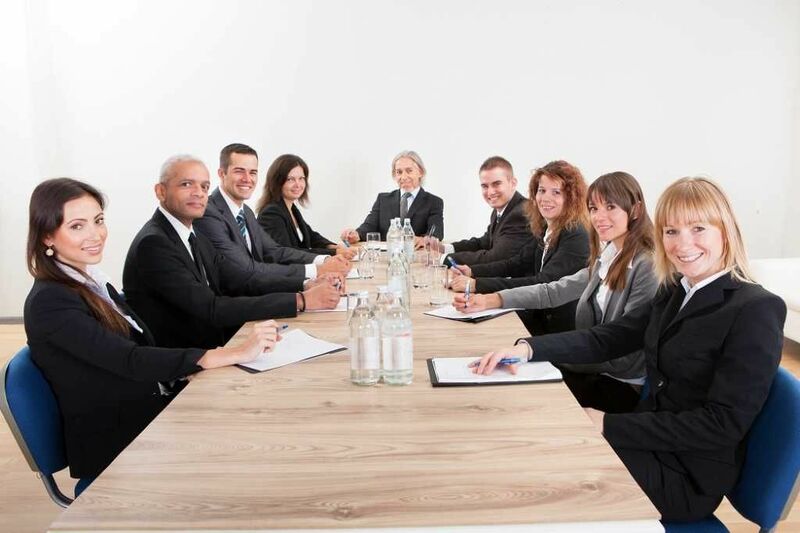 A staggered board of directors consists of directors who are grouped into classes – Class 1, Class 2, Class 3, etc. Each class represents holds a certain percentage of the total number of positions. During elections, only one class is open, hence the name – “staggered” board. A staggered board is commonly practiced in U.S. corporate law and is a valuable takeover defense strategy against hostile takeoversHostile TakeoverA hostile takeover, in mergers and acquisitions (M&A), is the acquisition of a target company by another company (referred to as the acquirer) by going directly to the target company’s shareholders, either by making a tender offer or through a proxy vote. The difference between a hostile and a friendly. A staggered board is a very important takeover defense. Let us determine the implications of a potential hostile takeover of both Company A and Company B. Company C thinks that it can run Company A more efficiently and thus attempts a takeover. To gain control of Company A, Company C will need a board majority. In a staggered board, Company C will only be able to take over four seats per election. If Company C manages to take over all the seats in that election, the company will fail to achieve a board majority, only acquiring four out of the 12 total seats. Therefore, it will take Company C an additional year to acquire a board majority and take over the target company. Company C thinks that it can run Company B more efficiently and thus attempts a takeover. To gain control of Company B, Company C will need a board majority. 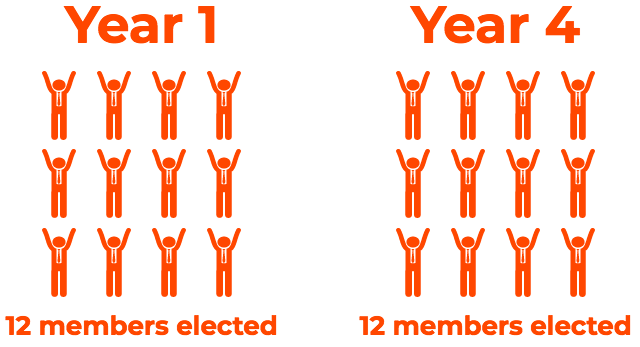 In a normal board, Company C will potentially be able to take over 12 seats per election. Therefore, Company C will be able to secure a board majority and swiftly take over Company B. The additional time required to control Company A serves as a takeover defense for rapid takeovers. It gives an opportunity for the rest of the board to fend off the hostile takeover. Learn more about takeovers in CFI’s M&A Financial Modeling Course.